Boss Clamp 2 Bolt Type, 2 Gripping Fingers - SOS Safety International Inc. The correct size Boss Clamp must be used. 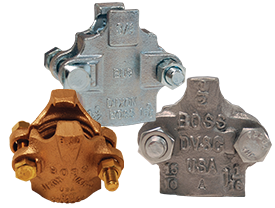 Bolts in Boss Clamps are designed to bend as they are tightened. 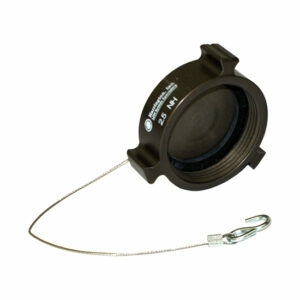 This allows the clamp to conform to the hose outside diameter. Always tighten bolts to their specified torque value. Periodic re-tightening of bolts is required due to “cold flow” phenomenon present in all rubber hoses. Boss Clamps are for single use only! Once removed they are to be discarded. Specifications Recommended for steam service up to 450°F (232°C). A) First bolt (nut facing assembler) 1 full turn. B) Second bolt (opposite first bolt) 1 full turn. C) Repeat procedure “a” and “b” until both bolts have reached the recommended torque. D) Remove assembly from vise. The bolts used in the Boss interlocking clamps are not standard bolts. They vary from standard bolts in their length, diameter, overall thread length and material hardness. These bolts can be retorqued, but it is not recommended that the bolts or clamps be reused, as they are designed for a single bend only. Dixon Recommends using only factory supplied replacement bolts. Replacement nuts and bolts are available, contact Dixon for more information. Torque values for clamps are based on dry bolts. The use of lubricant on bolts will adversely effect clamp performance. Do not lubricate nuts and bolts. Recommended torque rating in ft. lbs. 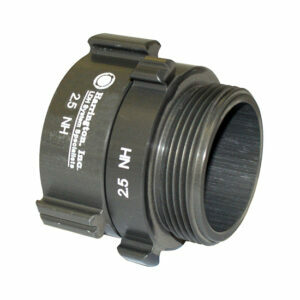 Worn-out hose couplings can be dangerous. They should be checked regularly and replace when necessary. 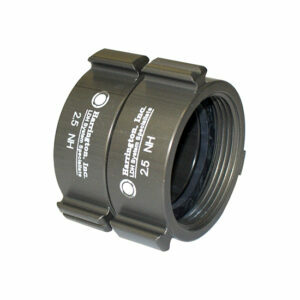 Each coupling user should review applications and add safety devices where indicated. Note. Pressurized steam is an extremely dangerous commodity. Only hose, fittings, clamps and accessory items that have been approved for steam service should ever be used! Never use an unapproved item for steam service. Always follow the manufacturer’s product recommendations for pressurized steam handling.